I've decided to start making mods again! ALL DOWNLOADS ARE CLIENT AND SERVER. 2. Download and install your mod of choice directly into minecraft.jar, do not pass go, do not collect $200. OWNER - Teotoo, Original author(s) of the MOD. Under the copyright terms accepted when purchasing Minecraft (http://www.minecraft...pyright.jsp) the OWNER has full rights over their MOD despite use of MOJANG code. THIS MOD IS PROVIDED AS IS WITH NO WARRANTIES, IMPLIED OR OTHERWISE. THE OWNER OF THIS MOD TAKES NO RESPONSIBILITY FOR ANY DAMAGES INCURRED FROM THE USE OF THIS MOD. THIS MOD ALTERS FUNDAMENTAL PARTS OF THE MINECRAFT GAME, PARTS OF MINECRAFT MAY NOT WORK WITH THIS MOD INSTALLED. ALL DAMAGES CAUSED FROM THE USE OR MISUSE OF THIS MOD FALL ON THE USER. I've decided to make a simple little mod that makes lava decay like water, mostly for anyone playing tropicraft. Watch for it later today. Sorry that I didn't get around to the lava mod thing, I was writing some new code for my website that'll make it easier to manage in the future, and then I had to go to my town's little carnival thingy. All that means I didn't have time for it today, but it's all in place and I'll have it up as soon as I can get to my computer tomorrow, I'm way too tired for it tonight. I just released my Lava Decay mod that makes lava decay as if it were water. It's for both client and server, so you're covered either way! 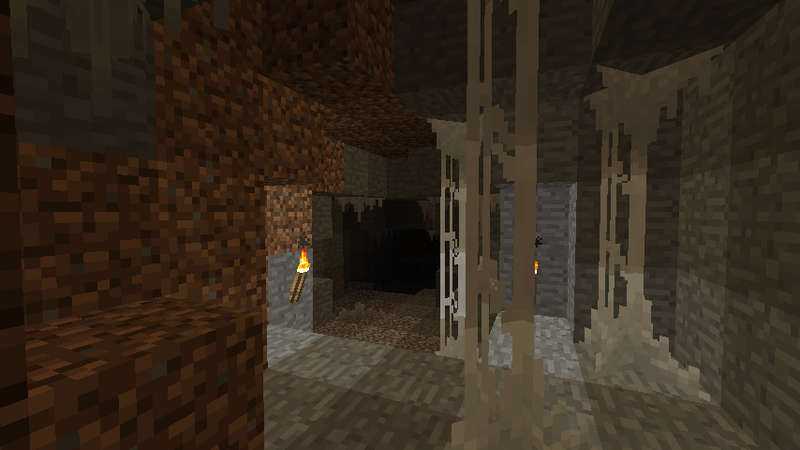 Now that that's out I think I'm going to start on a remake of Better Caves. Oh Finally your back to modding ! Can't wait for your other mods to be revived! Awesome - I started a Tropicraft Let's Play, and this will definitely help! Thanks! Thanks for all of the positive feedback! If anyone has a particular mod they want brought back please tell me! Sure thing! I'll work on it tomorrow, currently I'm drawing some textures for Better Caves and brainstorming some ideas for a game I'm working on. I like your website, very minimalistic, and easy to find everything. Keep up the good work, sir. Sorry. It was a misspelling in the link. They'll work now! Hey, just wanted to say thanks very much for the lava decay mod, and I hope you update it once 1.3 comes out! Village biomes just released! This version's much easier too install than the last one, it doesn't require you to put anything in .minecraft/config/, it generates it! Should I make the stalactites darker? My website went down due to troubles with the hosting company's servers, it should be back up soon but I'll post the links to the mods here for the time being.